When you have a dish that is quick to make, doesn’t cost a lot of money, and the kids ask for it – you make it a staple in your family! 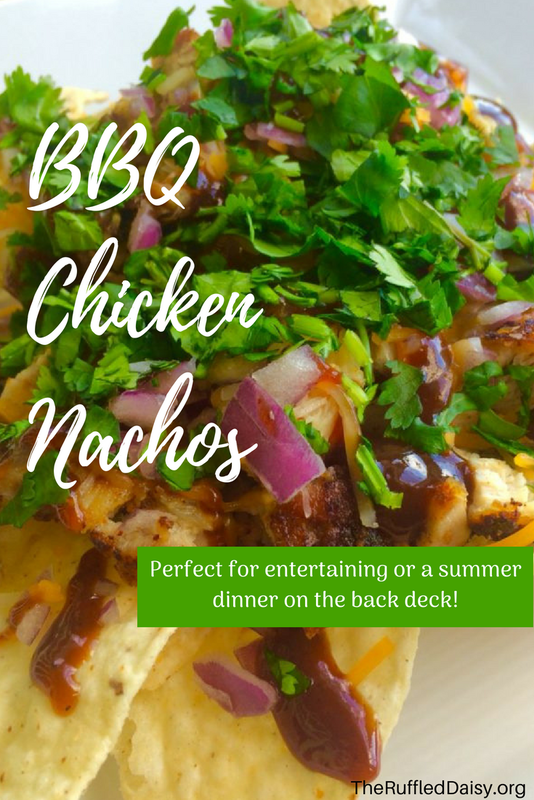 These BBQ Chicken Nachos are ALWAYS a hit in my house with the boys, especially when they have friends stay the night. It is so easy to make a lot. When you’re feeding teenage boys, that’s a huge plus! 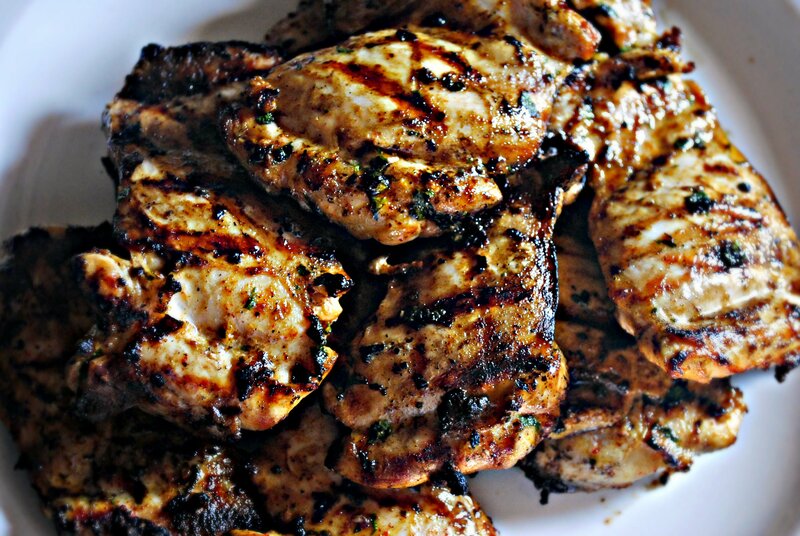 After your chicken is grilled, you can have this dish ready in 15 minutes! I like to batch cook – although it doesn’t always get done. We tend to eat a lot of chicken in our house and so taking a day to grill a bunch of chicken makes dinner times a little easier since we have busy evenings. 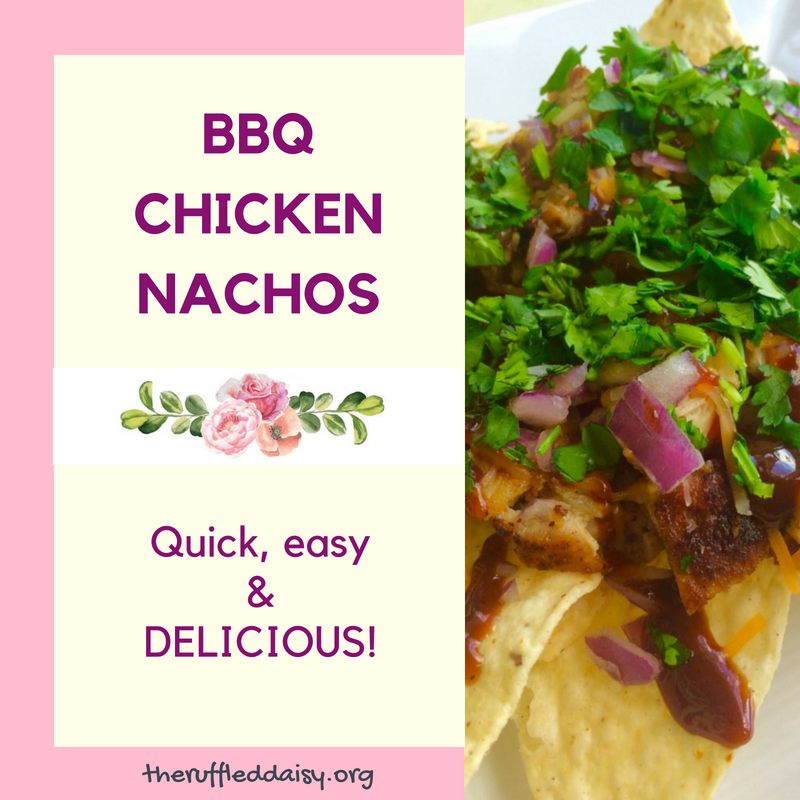 Grill your chicken, dice it up and freeze it so it’s ready when you want to make a batch of these BBQ chicken nachos. You can season your chicken however your family likes it when you’re grilling it. 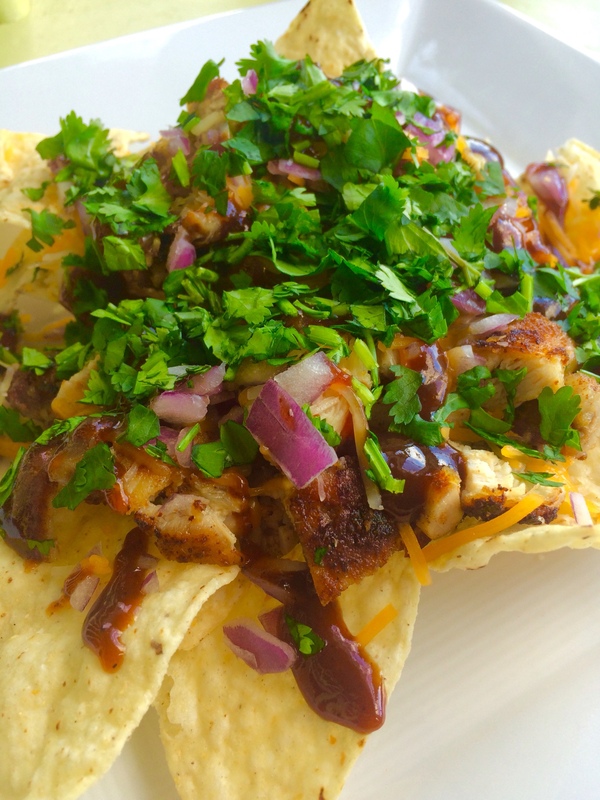 If you want to try something new, you can try my hubby’s marinade recipe! It’s simply a mixture of Italian dressing, real garlic, cumin, pineapple juice, brown sugar and cilantro! It’s all to taste! Sometimes he uses a little bit more brown sugar and sometimes he uses a little more pineapple juice. It all depends on the dish you’re making and if you want it a little sweeter or more acidic. For this recipe, it’s right in the middle. The next step is just layering all the goodness! Pop it into a 400 degree oven for about 10 minutes and it’s ready!! Our family LOVES cilantro and that is really what makes this dish amazing! Did you know that cilantro is one of those herbs that people either love or hate? Studies have proven that people that don’t like cilantro have taste receptors that makes it taste like SOAP!! I’m so thankful I don’t taste that!